While HP's latest WiFi connected wireless mouse isn't going to win any design awards anytime soon, it's the world's first WiFi wireless mouse with an impressive 9-month battery life. No other wireless mouse currently on the market comes even close to this. HP claims it's an easy one-time pairing process on Windows 7 while Mac users will have to settle for their Magic Mouse instead. HP claims that in order to pair over WiFi, a PC running Windows 7 is required. If you're a Mac user, there is nothing here to keep you interested anyway. The 1600cpi laser sensor and 5 programmable buttons are still very basic. 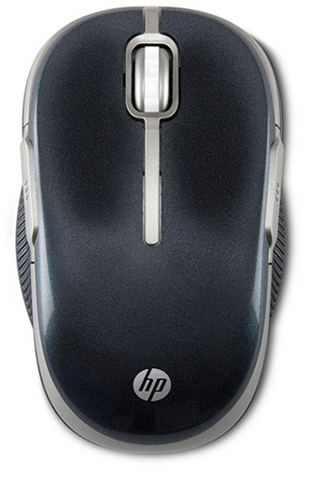 The HP WiFi Mobile Mouse will be available in June for $49.99. I think I'll stick with my Razer mice for now.